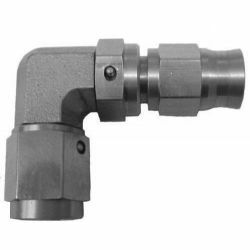 Brake hoses and fittings There are 75 products. BRAKE CALIPER BLEED SCREW, AN3 stainless steel. Tight secure & leak free connection. BRAKE CALIPER BLEED SCREW, AN4 stainless steel. Tight secure & leak free connection. 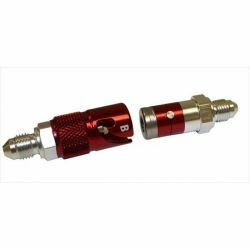 BRAKE CALIPER BLEED SCREW, M10x1 stainless steel. Tight secure & leak free connection. 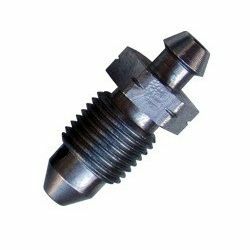 BRAKE CALIPER BLEED SCREW, M10x1,25 stainless steel. Tight secure & leak free connection. Fiting AN3 stainless steel, 90° female Thread: M10x1. Fitting is to be used with our braided PTFE hose AN3. Stainless Steel Fitting. Fiting AN3 stainless steel, 45° female Thread: M10x1. Fitting is to be used with our braided PTFE hose AN3. 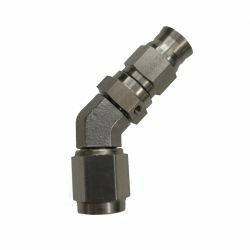 Stainless Steel Fitting. 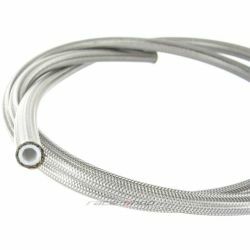 Stainless steel braidid teflon hose AN3 (D-03). The smooth inner PTFE layer is resistant to all types of brake and clutch fluids.